Kids write the darndest things. 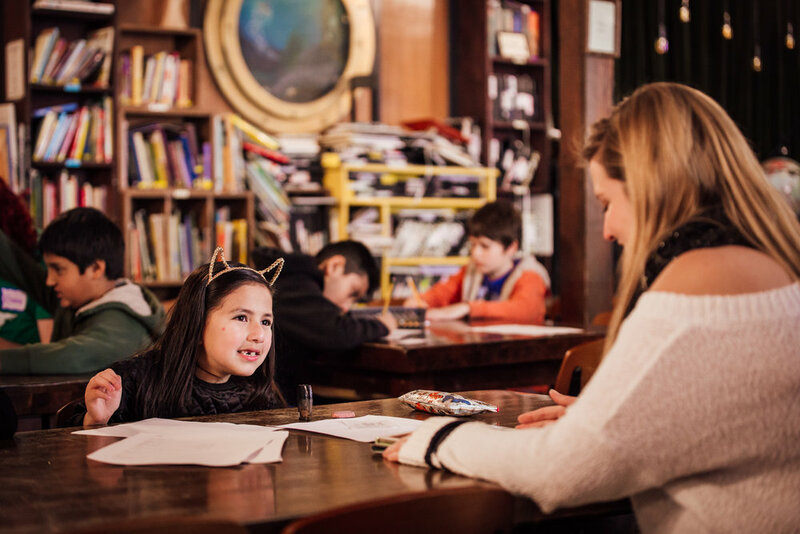 That's our fault, because we teach them sketch comedy writing at 826 Valencia every year. 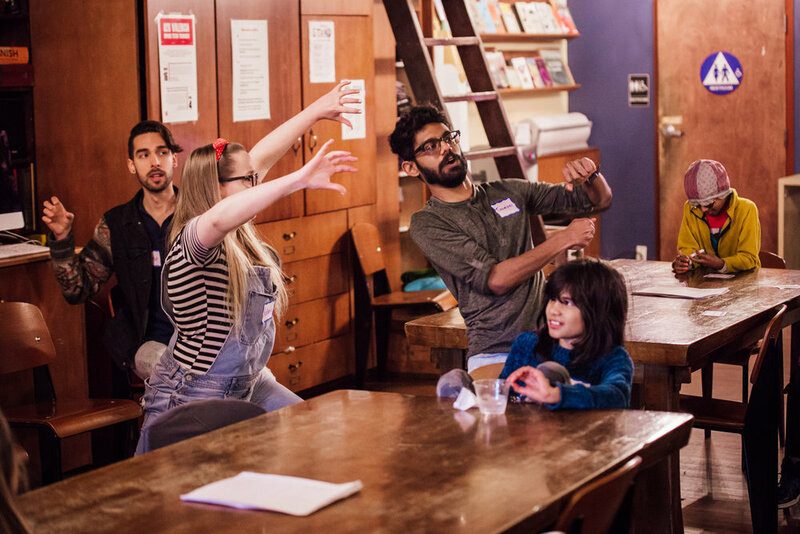 Then we take their work, rehearse it, add zany props, and perform it in front of a live audience. 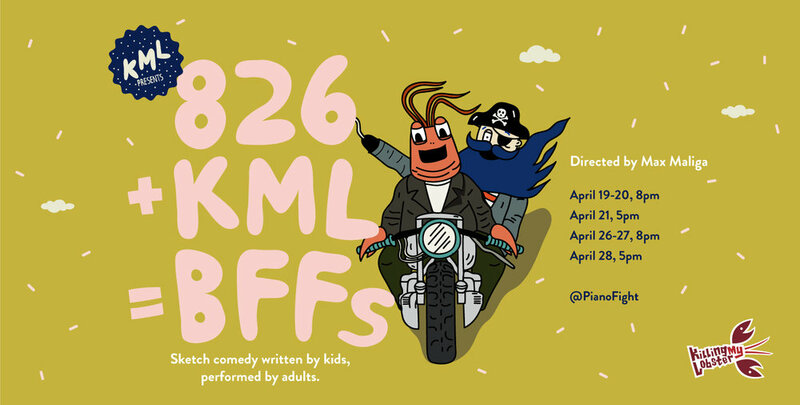 Come see 826+KML=BFFs for a night of comedy the whole family will enjoy. Writer Ximena and stage manager Sara Barton, hard at work. Photo by James Jordan Pictures. Actors performing the kids' wild ideas. Photo by James Jordan Pictures. 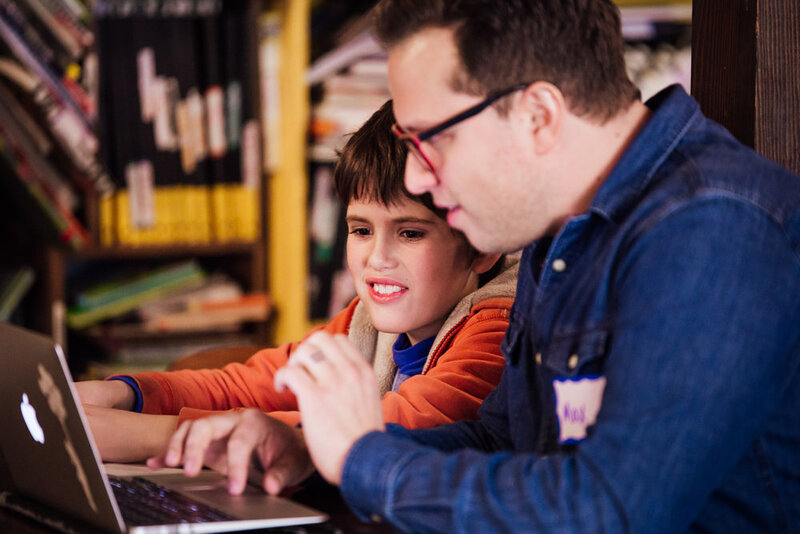 One of four KML writing workshops at 826 Valencia. Photo by James Jordan Pictures.